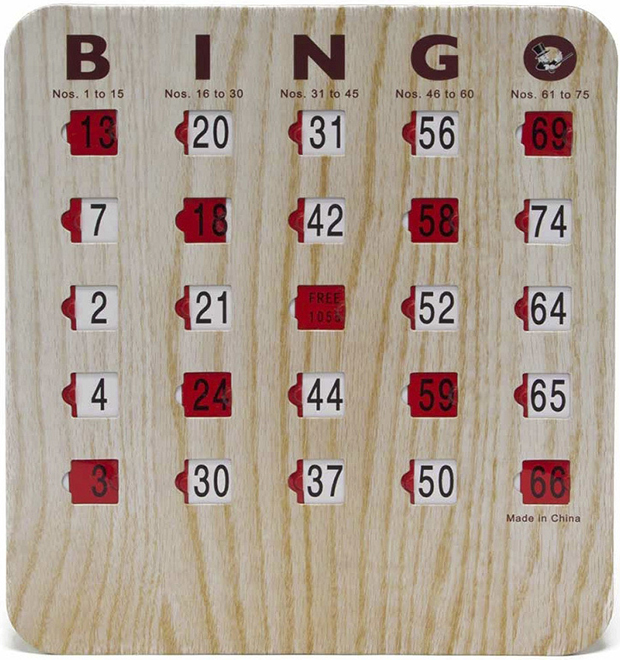 With our deluxe transparent red plastic slide window Finger-tip Wood Grain Bingo Shutter Slide Cards, a flick of the finger marks the number and are great additions to your bingo event. Great for bus trips, school events, company picnics, family reunions, or other places where you don't want to mess with chips or daubers. Made of extra durable 5-ply cardboard with no duplicate cards.